Here are some visual ways to represent business ideas inspired by my son’s Physics text book. Visual ideas are all around us, if only we have the mind to look for them. Our answer has always been – “Look around – you will find your inspiration”. We practice the philosophy all the time. 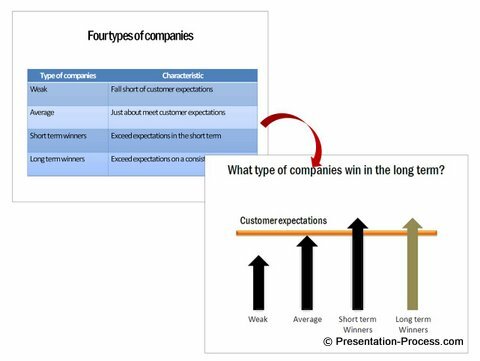 One day, as I was browsing through my son’s physics text book – I found a wealth of wonderful concepts that I could apply directly to a business situation. This article is a result of that inspiration. A simple bi-convex lens focuses light rays to a specific point. I am sure you’ve done experiments, like focusing sun’s rays on a piece of cotton using a magnifying glass (a biconvex lens). The power of focus is such that cotton burns in a few moments. 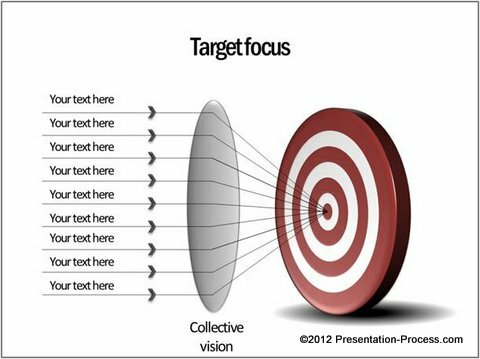 The diagram can be used to explain the power of collective vision. When different departments in a company work together under a collective vision, no target is unachievable. Just by including the visual of a target, we converted a ray diagram in physics to a business diagram template. The next subject in the text book was about prisms. A prism is used to split light into its components. 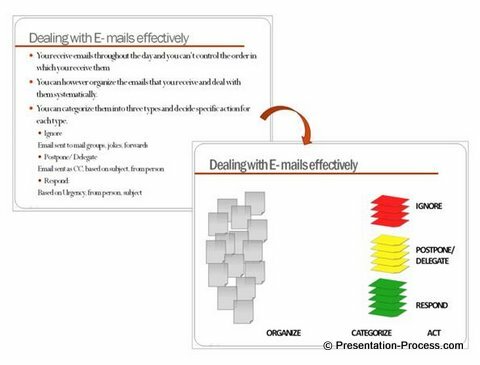 The diagram helps you explain the role of a leader in assigning tasks to a team. 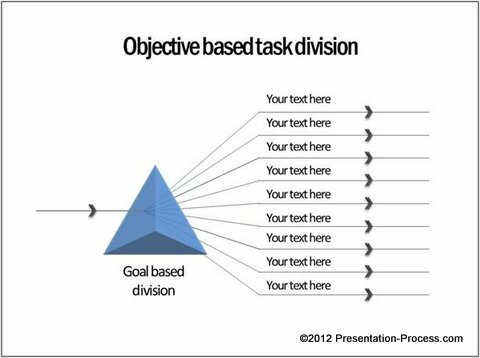 Instead of assigning tasks arbitrarily, let your ‘team goal’ be the guiding prism to determine the tasks that need to be assigned to accomplish the goal. A pulley is a wheel on an axle. When used in tandem, pulleys can help you lift astonishing amount of weights with minimum effort. 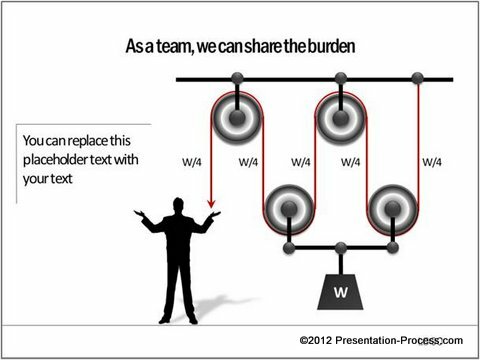 Just as pulleys lift astonishing weights by working in tandem and distributing the load equally, a good team can achieve the impossible by working in synergy. We have all read so many scientific concepts and principles in our schools. We never bothered to see their application in a corporate environment. When you spend a little time to think, you would be amazed to find the number of principles that help you visualize your business ideas and concepts in a presentation. 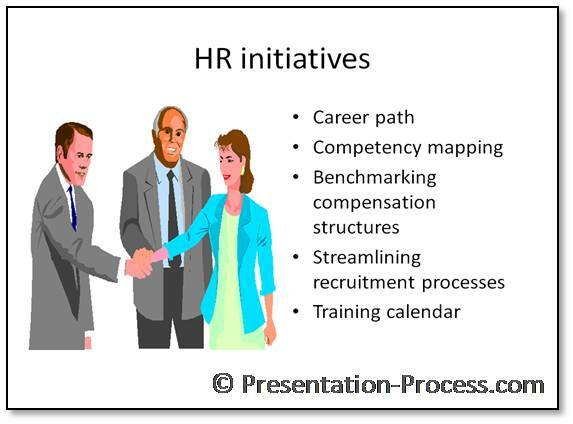 Sometimes, it is not easy to get enough inspiration to visualize innovative concepts for your business presentations. 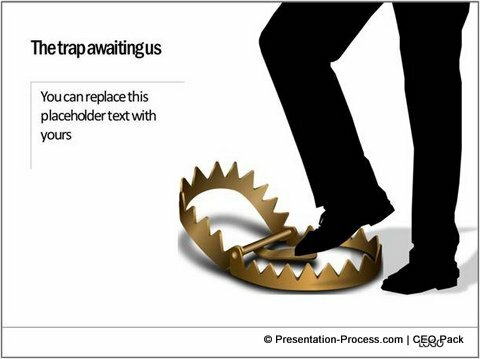 Do go through the articles in this visual presentations section to find more ideas for your next presentation.